There is an exciting announcement for all the students of Lincoln American University, School of Medicine (LAU)! Now, students studying medicine at LAU will be able to get their clinical rotations in Nepal too! 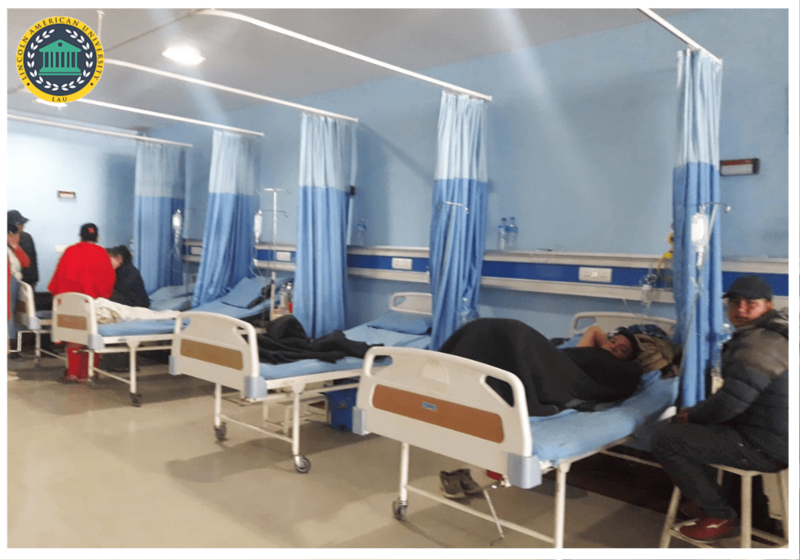 Lately, LAU has been in conversation with Manmohan Memorial Teaching Hospital (MMTH), a leading medical hospital in Nepal operating under Nepal Health Care Co-operative Limited (NEHCO), to develop arrangements for expanding the clinical rotations opportunities for LAU students in Nepal. Thankfully, efforts have been successful, and LAU and MMTH have signed an agreement that will facilitate LAU students to get clinical rotations in MMTH, Nepal. MMTH was established in 2013 by NEHCO under the name of Former Prime Minister of Nepal, Late Manmohan Adhikari, to provide quality medical education and ensure proper health service delivery and health research in Nepal. 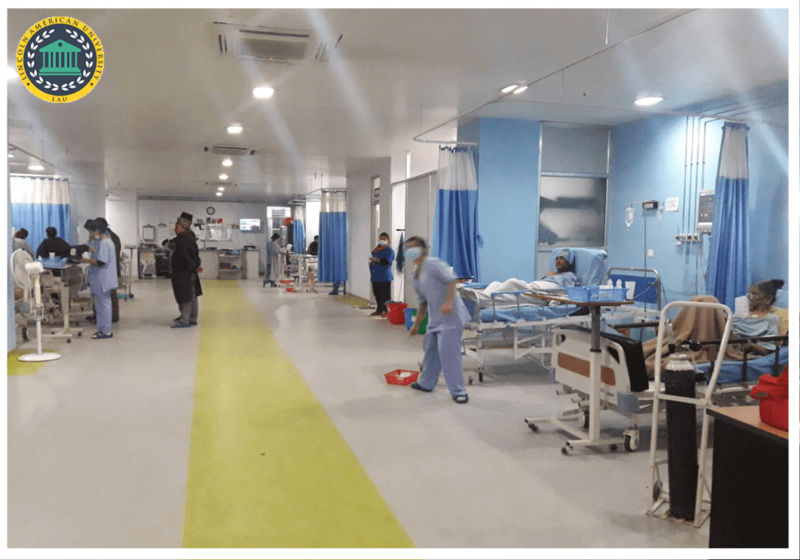 Currently, MMTH houses 300 hospital beds and provides 24-Hour emergency services with its state-of-the-art medical facilities like Radiology, OPD, ECG, Ozone Therapy and Test-laboratories, etc. As part of the clinical experience in MMTH, LAU students will be able to gain hands-on experience in various medical fields or the subject of their specialization. This strategic partnership between the two leading medical institutions will benefit all the international students of LAU, especially the students from Nepal, who now have a chance to start clinical rotations in their home country and readily start their practice in Nepal after completion of their medical graduation from LAU. Apart from clinical rotations, LAU in partnership with ASPIRIT (a leading Education Consultancy & Immigration Services Company, approved by Nepal Education Ministry), will take care of accommodation, safety and other facilities for its students who opt for the clinical program in Nepal. It will ensure a smooth experience for the students and will not trouble them as they switch places during the MD Program. On reaching this milestone in the aspiring journey of LAU to become a leading medical institution in the world, LAU conveyed its special thanks to Ms. Laxmi Adhikari, Managing Director of ASPIRIT, without the support of whom, efforts for the expansion in Nepal would not be successful. LAU also conveyed the greetings to the entire team of MMTH for coming together, joining the forces and opening door to new opportunities that will benefit medical aspirants in Nepal as well as in other parts of the world. To tap the untapped opportunities for its students, LAU is having an ongoing discussion with some of the finest and most reputed medical institutions in Nepal to further expand the ground of medical options for its medical aspirants. You will soon get to hear about our further progress in this regard. Facility of clinical rotations in Nepal will provide the students with an amazing opportunity to get clinical experiences in Nepal, a country of blended culture. People of diverge religions including Hinduism, Buddhism, and Islam peacefully live together in the country and have made Nepal a land of shrines, worship and land of holiness. Peaks of Himalayas in Nepal, its mesmerizing atmosphere and natural beauty, humble people, dance and music inspired by ancient times mixed with the modernity of today and the mouthwatering food of Nepal make sure that students enjoy their life too while pursuing their clinical rotations in the safe environment of the country. Development of clinical rotations opportunities in different countries will provide LAU students with international clinical opportunities and will prepare them for the global practice of medicine. These efforts are commensurate to the LAU’s commitment to providing its students with the best possible medical education in South America and its aspirations to become one of the leading internationally acclaimed medical institution in the world. Currently, LAU provides a 5-Year medical program for MD in Guyana based on medical education in America and LAU will keep continuing its efforts to broaden the career horizon of its students and become a top medical college in America.